Anesthesiology is a stressful medical profession. While anesthesia in particular has become safer for the patient in the last decades, anesthesiology as a profession represents a medical field in which the professionals are permanently tense. The various reasons for this situation include the fact that anesthesiology is a team profession that requires perfect cooperation with other specialists. It also entails great responsibility for the patient’s life, the daily use of “blind” invasive techniques, and last but not least the production pressure that characterizes the activity in the operating room. 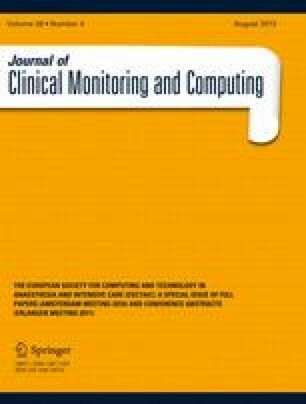 There are various methods to quantify professional stress and this article emphasizes the place of measurement of salivary cortisol in order to identify those stressful moments that are part of the anesthesiologist’s routine activity, in addition to those individuals who are more prone to develop negative aspects of stress. It seems that there is a strong correlation between the high level of salivary cortisol and stressful events during patient management and also a correlation between this level and a high score of implicit job-stress. This reality created the need to look for remedies; some authors recommend a long list of measures to be taken in order to prevent or reduce the magnitude of professional stress. This list includes a continuous self-care attitude, consisting of having a balanced professional and personal life; adequate sleep; avoiding drugs, obesity, and “workaholic” behavior; as well as better use of leisure. Finally, more studies are needed to find out which preventive means may potentially reduce the risk of professional stress among anesthesiologists. Jackson SH. The role of stress in anaesthetists’ health and well-being. Acta Anesth Scand. 1999; 43: 583–602. doi: 10.1034/j.1399-6576.1999.430601.x.